This technique dates back to the pre-Christian era. ‘Pysanky’ comes from the word ‘to write’ as the designs are not painted but written with beeswax. The designs/symbols had magical powers to ward off evil spirits, banish Winter, guarantee a good harvest and bring a person good luck. Similar designs occur in pottery, woodwork, metalwork, Ukrainian embroidery and other Folk Art. 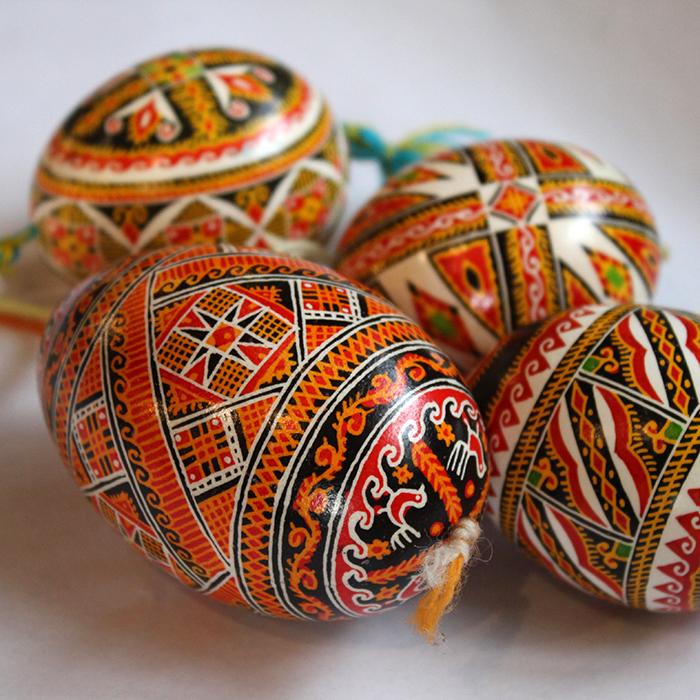 The workshop includes a presentation about the Ukraine and the Pysanky tradition. All materials are supplied and enjoy a delicious traditional Ukrainian lunch. £70 includes lunch and materials. Booking Essential as places are limited.